Piles of leaked documents showing NSA, GCHQ and other agencies snooping on citizens’ lives globally has made everyone conscious of their privacy and digital security. World around, digital security and privacy activists are campaigning for laws securing peoples lives online. Tech giants are trying to move their servers out of U.S. and most importantly, the focus has shifted towards manufacturing devices insusceptible to privacy attacks. In one such attempt, Blackphone has been created matching with the desire of increased privacy and security. Although Blackphone runs Android, the operating system has gone through significant changes and labeled at PrivatOS. Developed by Silent Circle, Blackphone Android would be a typical smartphone in terms of specs sporting a 4.7 inch HD IPS display, 2GHz quad-core processor, 16 GB of storage, 8-megapixel camera, etc. 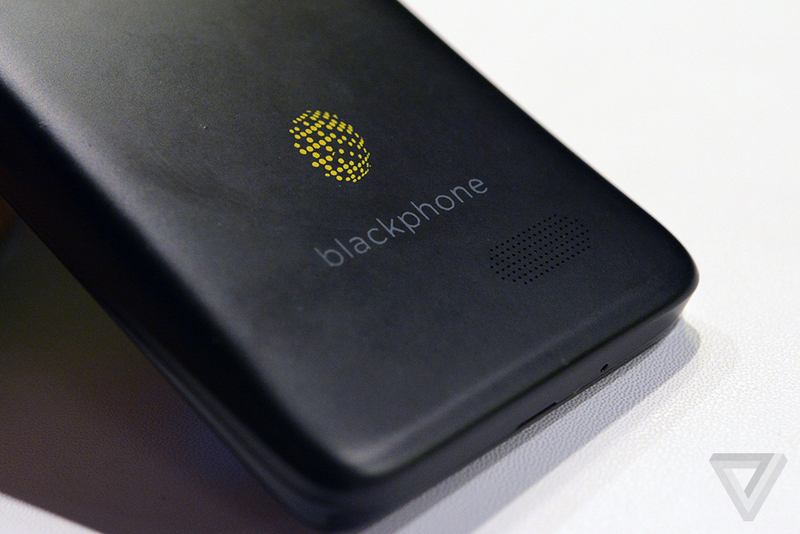 Silent Circle has produced Blackphone Android with Spanish hardware startup Geeksphone. Silent Circle has an existing security and encryption-related software portfolio. 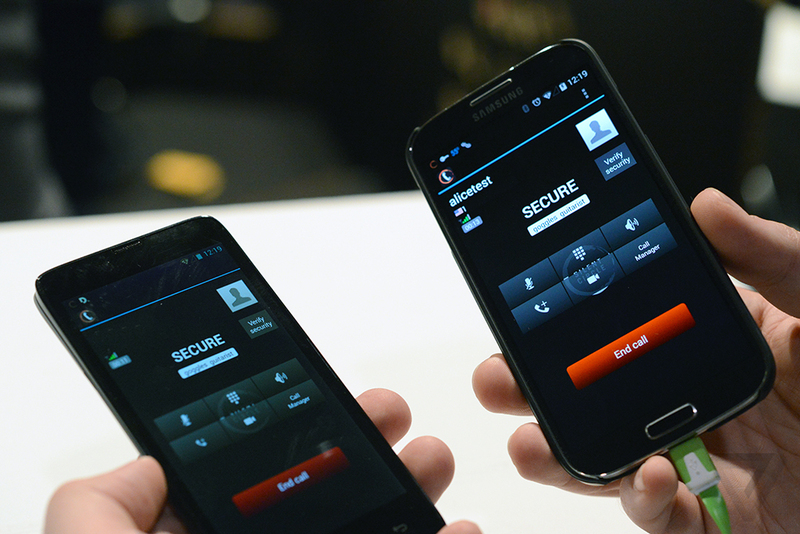 Blachphone Android claims to be the first smartphone to place privacy and control directly in the hands of its users. A plethora of security applications and modifications in Android giving users insight and complete control over third-party applications and their usage of data. The suite of apps include Silent Phone which offers peer-to-peer encrypted voice calls; Silent Contacts replacing stock Android security app securing your contact list from third-party apps; and Silent Text which encrypts messaging. These applications are already available for Android and iOS devices with a paid subscription. However, Blackphone will include two years of services. 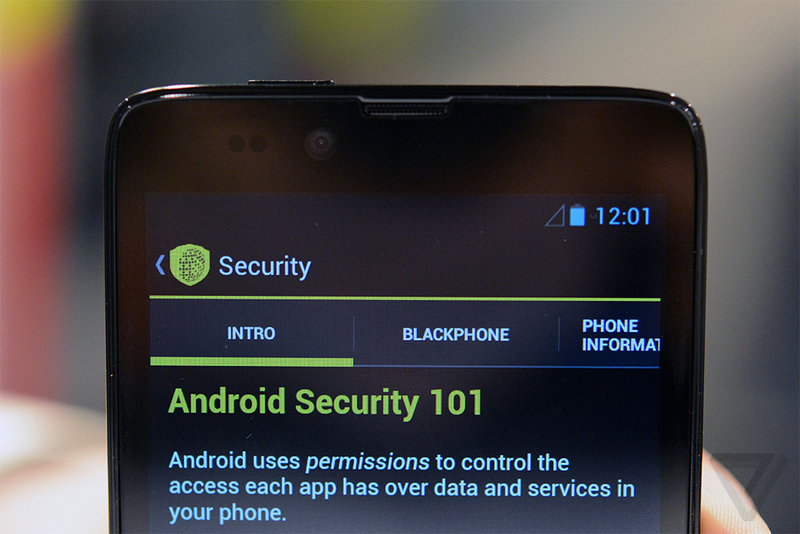 Blackphone Android comes with levels of security. While you would want to encrypt when calling to certain person or company, you won’t be needing it to place food orders. “This is why Blackphone is so unique — it gives the user the chance to choose the level of privacy”, says Mike Janke, CEO. Security Circle has also partnered with other companies offering a wider range of security focused services. These include SpiderOak providing 5GB of zero-knowledge encrypted data backup; and Disconnect which is a search optimizer that utilizes a VPN to anonymize internet queries through regular search engines like Google or Bing. These two are also subscription based services, however, you will like these too for free for the first two years. Apart from these, you will also get a WiFi manager keeping WiFi switched off whenever you get out of your house or office. This will save you from any network tracking. It will also block a list of known trackers used by companies targeting ads at you. While you will still see the ads, the tool will just stop advertisers from tracking and selling your information. It does sound a little complicated. Too many subscriptions to maintain, know about, and analyze if you need to have them. If may also prove to be on the expensive side. However, it is no doubt that a certain sizeable community of government employees and activists around the world would be willing to pay for these services to have increased privacy and digital security. Blackphone Android preorders start this June with the off-contract price of $629. This price tag includes two years of subscriptions of various security and encryption services. While it sounds like a needed concept, it is yet to be seen if consumers show interest in this device and not just keep a regular Android or iOS smartphone and subscribe to the security services.